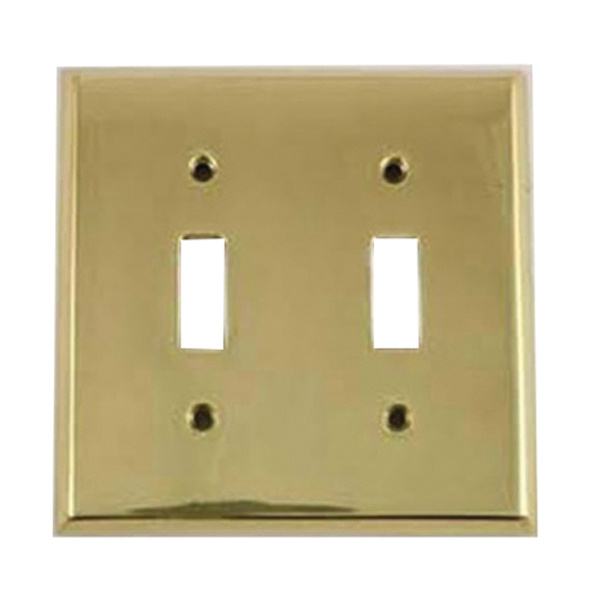 Mulberry 2-Gang Standard size toggle switch wallplate features brass construction with satin finish. Square wallplate measures 4.562-Inch x 4.5-Inch x 0.04-Inch. Wallplate has two toggle switch configuration. It is suitable for architectural purpose. Toggle switch wallplate is UL listed.